Joomla CMS Akeneo Connector: Connect your Joomla content management platform with Akeneo PIM and create blog posts articles easily. With the help of this integration, you can export Akeneo products as articles on Joomla website. With the help of this Joomla CMS Akeneo Connector module, you can export articles, images, links, publish start/end dates. 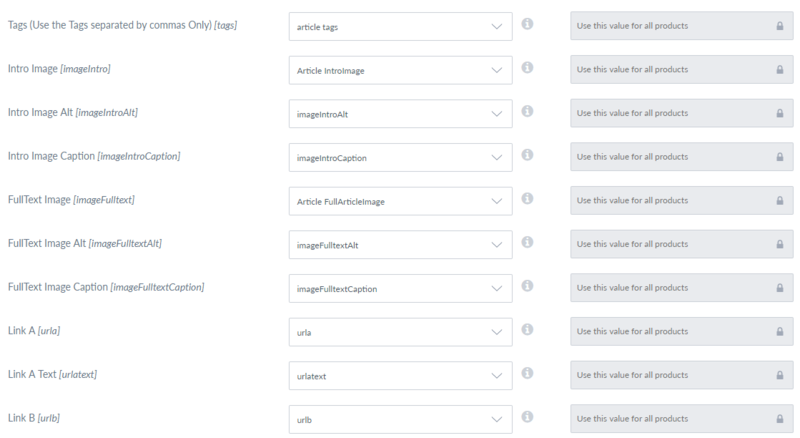 You can even connect multiple Joomla websites using sync content from Akeneo. 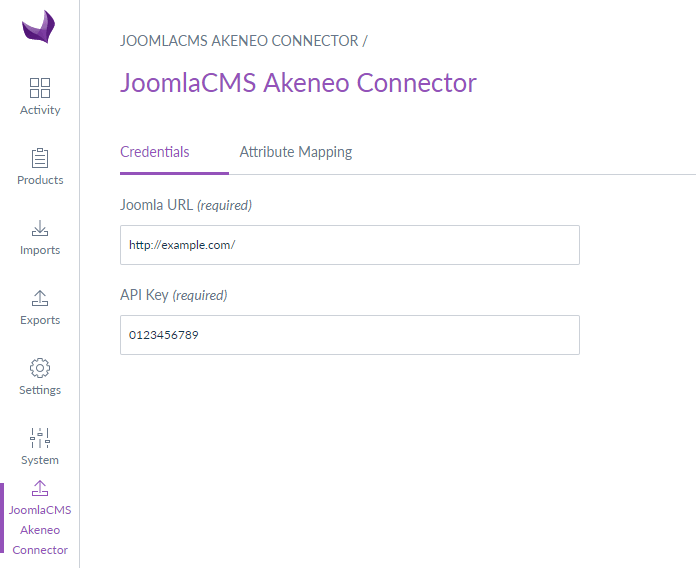 Please Note - Joomla CMS Akeneo Connector is compatible with Community Edition, Enterprise Edition, and Cloud (PaaS/Flexibility) Edition of Akeneo. Export Categories from Akeneo in Joomla CMS. Export Products from Akeneo to as Articles in Joomla CMS. Export Product Images as Article Images. Export article tags, images, links, publish start date, publish end date, with article data. Use the fixed value for some fields when exporting data. 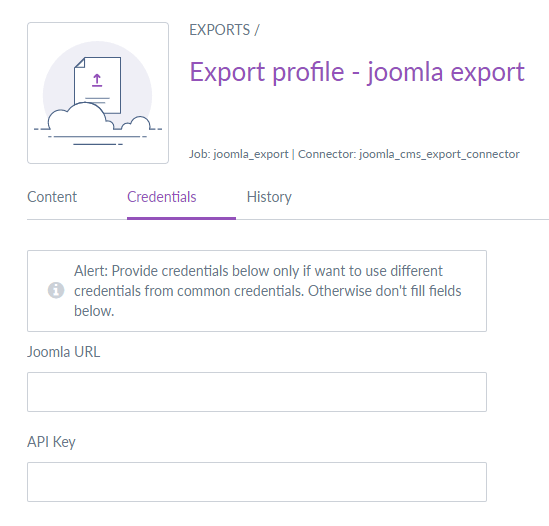 Connect multiple Joomla instances by providing credentials in export jobs. Better mapping UI with select attribute instead of filling code. 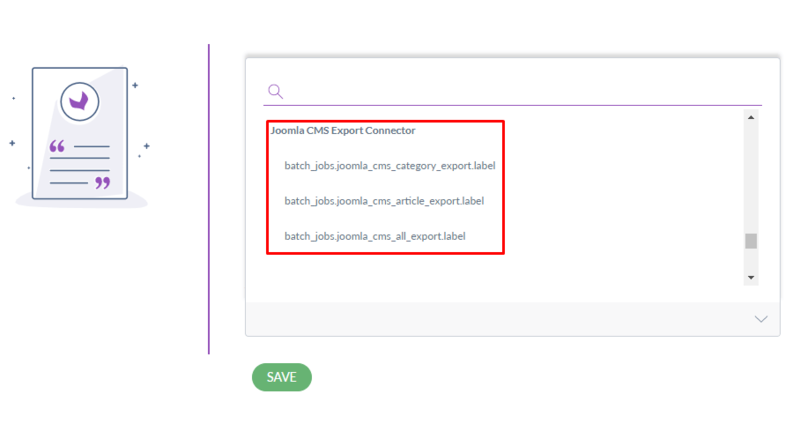 Export Categories from Akeneo in JoomlaCMS. Export Products from Akeneo to as Articles in JoomlaCMS. Can export Article Tags, Images, Links, Publish Start Date, Publish End Date, with Article Data. Can Use the fixed value for some fields when Exporting data. Filter data to be Exported based on Category, family, Completeness, Identifier(SKU). Can connect multiple Joomla store by providing credentials in Jobs.